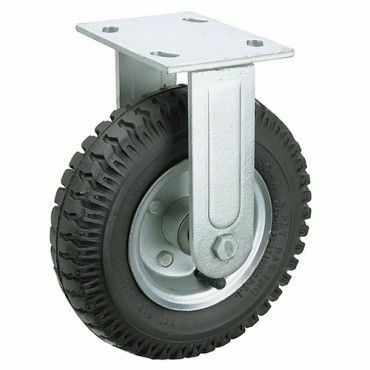 I purchased 2 of these wheels from Harbor Freight. Peck the pic to go there. 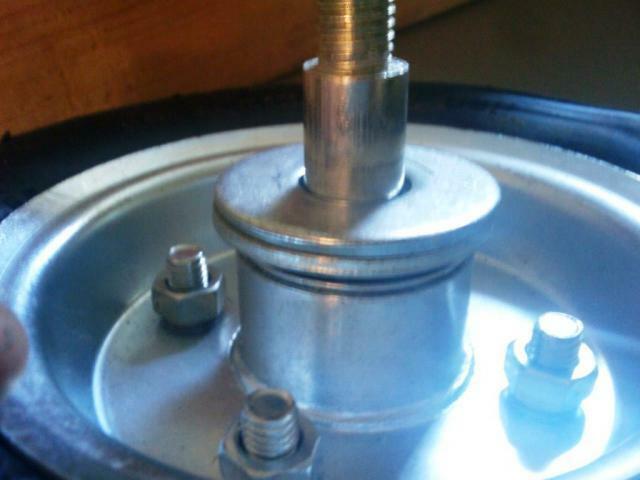 Disassemble the wheel by undoing the big bolt and lock nut. You will end up with the bracket, axle bolt, wheel, nut and 2 spacer bushings. 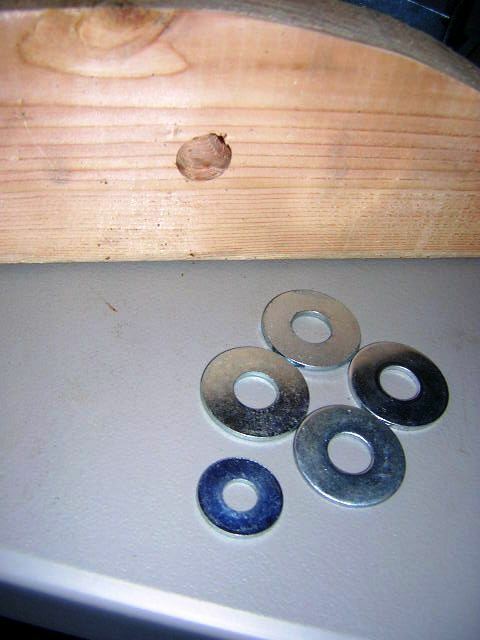 Unless you want to cut the ears off of the bracket you will need some big washers. I ended up using 3 large washers that were able to go over the thick part of the axle and 1 smaller washer over the threaded part. This will vary depending on the exact thickness of wood you are spanning. 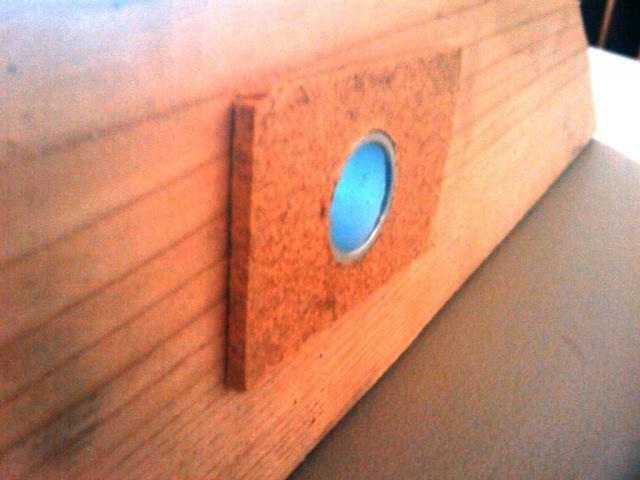 I drilled a hole through the 2x4 the same size as the spacers and inserted them. 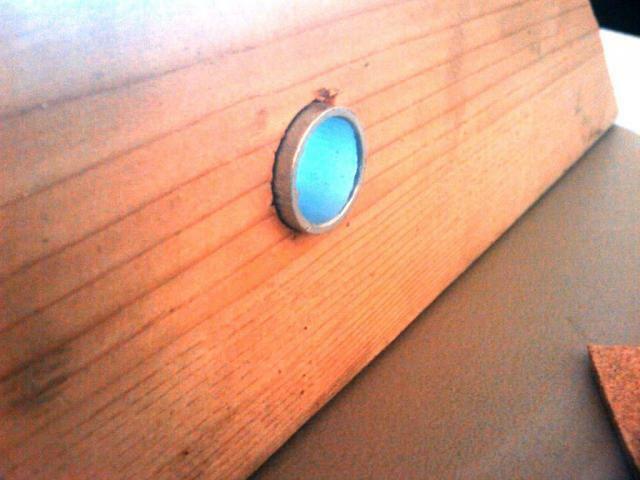 They stuck out a bit so I added a spacer with some extra scrap. A washer would be evenb better but I did not want to make a trip back to the store. 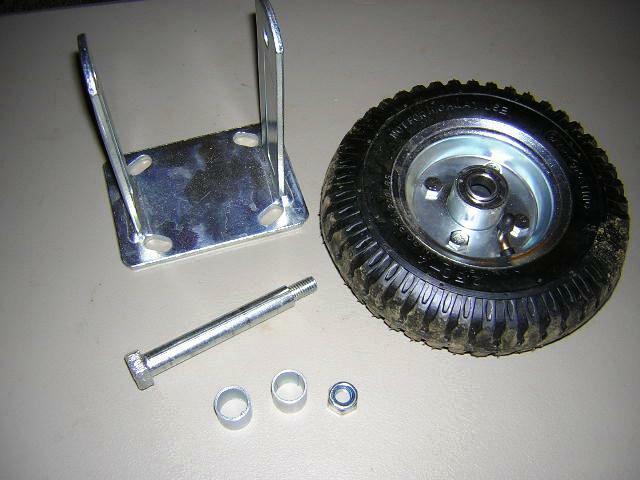 Put the axle and wheel together using 1 washer on the outside. 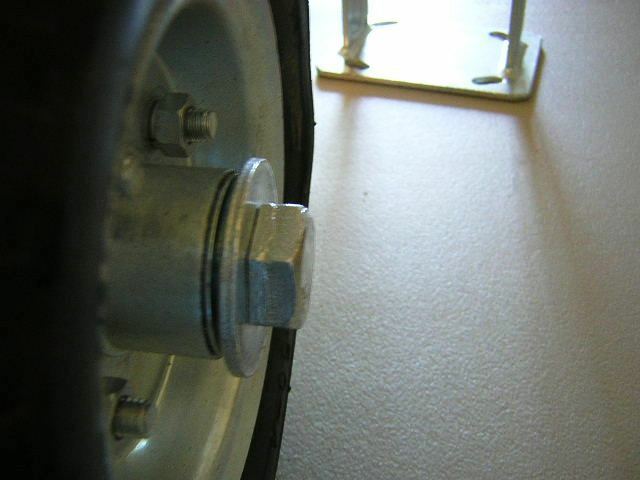 Use 2 washers on the inside so that the wheel has space to turn freely. 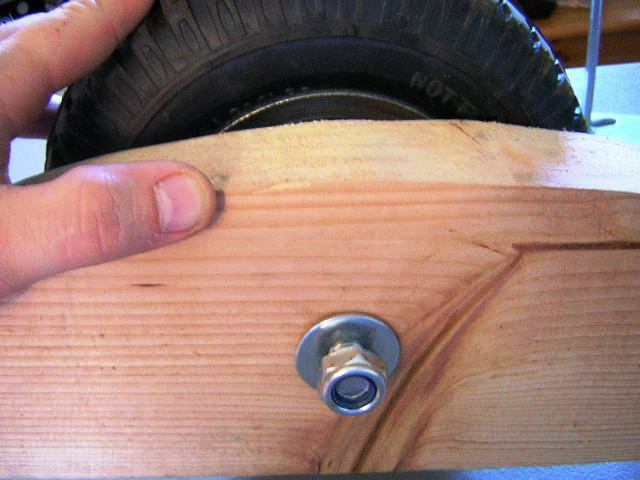 Next attach the axle to the 2x4 using the smaller washer and the lock nut. Tighten it just enough so that the wheel turns with slight resistance. If you crank it down it will not turn at all. Peck here to view my chicken tractor.